PowerCoil, along with associated brands Loksert, Tapsert, and ProThread, is part of the Bordo International family of products, so you can rest assured that the famous Bordo attention to detail and quality are reflected in our threaded inserts and thread restoration program. Bordo International is synonymous with excellence in industrial cutting tools and accessories. With offices in Australia, Belgium and the USA Bordo has an extensive distribution network capable of delivering products to our customers quickly and efficiently. Founded in 1987, Bordo remains a 100% family-owned Australian company committed to our customers and the local community. Our mission is to provide a complete industrial tool range of a quality and reliability that exceeds our customers’ expectations and requirements; and a service level second-to-none in the market, reflecting our total commitment to excellence. Our threaded inserts and thread restoration range is one of the most comprehensive available. Our continually expanding range ensures you need look no further for all your threading needs. All of our products have been carefully selected and determined to be the best quality of their kind in the world. Bordo International is committed to working with our suppliers and customers to improve and expand our range of cutting tools and power tool accessories, whilst continuing to provide the highest levels of service. We are supported by a team of technical and production experts who ensure that all specialised tooling requirements are met to our customers’ exacting specifications. The Bordo Quality Commitment exists throughout all levels of our company – products, service, vision. We source our products from the world’s finest manufacturers, maintaining our ‘quality without compromise’ ethos. Our commitment results in the most reliable and competitive package available – when you use our tools you can be assured you are getting the very best the world has to offer. At Bordo we pride ourselves on our environmental policy. 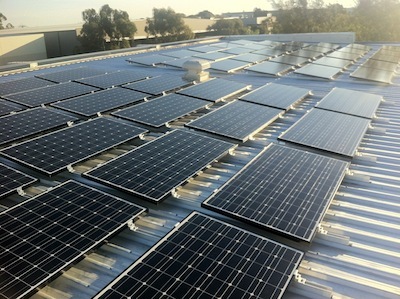 We have a landmark building that is one of Australia's first 5 star certified buildings and our power needs are supplied by an 85kW solar power array. 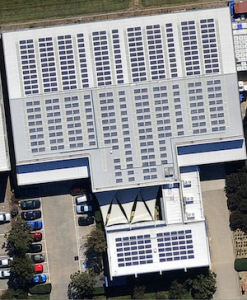 A number of programs are in place throughout the company that encourage employees to minimise the company's impact on the environment.